Florida Real Estate: North Bay Village Waterfront Home For Sale! This is a breathtaking marvel on the water in North Bay Island, North Bay Village, Florida. The open glittering Miami skyline and open bay panoramic views are mesmerizing. This home has been designed by the renown architect Jose Sanchez. The custom built home was constructed with the utmost attention to detail. This five bedroom and six full bathroom home is generously laid out over five thousand eight hundred and thirty square feet of ultra chic designer living space. The living room is enclosed by glass. The chef's dream kitchen is Poliform and has a full suite of designer Sub Zero and Wolf appliances. The flooring through out the main living areas is Calcutta marble and hand crafted wood. All the doors of the house are frame less Italian glass. The extra large master suite has a direct view of the Miami Skyline. There is a dock along the seventy feet of waterfront property. The rooftop terrace with a full summer kitchen is perfect for entertaining and relaxing. The resort style chic swimming pool is heated and has a spa with another summer kitchen. There is a two car garage to house your precious automobiles. 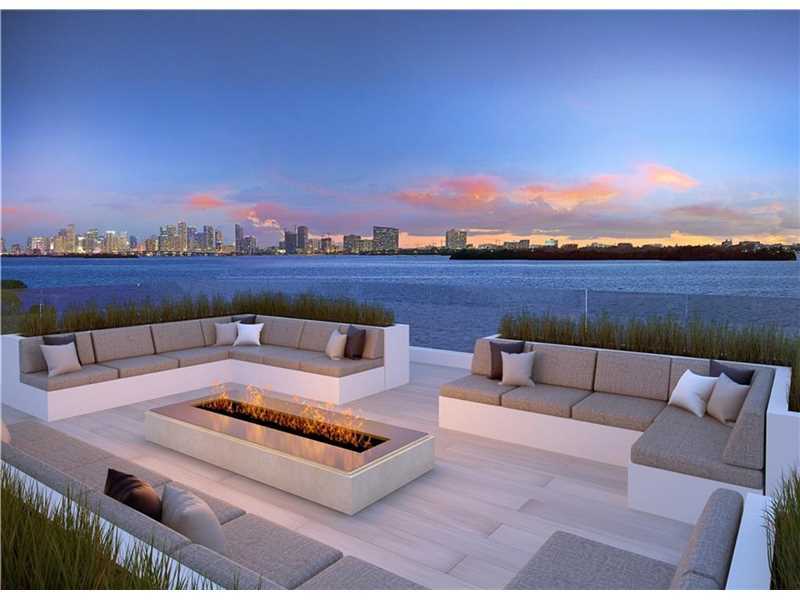 7800 Miami View Dr located in North Bay Village and is currently asking $5,950,000.00.